First off, I did like this story, but I didn't like the feeling there might be a love-triangle situation. It does have that kind of vibe. 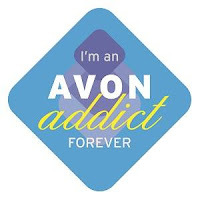 We have Libby Stratton who decides to be turn, because she wants more time with her son, Danny. Through this whole process she's not sure if she's doing the right thing, but her days were number thanks to cancer. She does stumble through her life as a newly emerge vampire mom. It's not always easy being a mom, but add vampire it changes all things. Like I said this kind has a love-triangle vibe. We have Wade a single dad, that's a tattoo red-neck. Him Libby have a bumpy start. I mean it all starts in janitorial closet, and they get word wars. That have an instant dislike, but that's partly Wade's fault. Then we have Finn Palmeroy, who happens to be Libby's sire. He gives a skivvy vibe. Honestly, I didn't like Finn from the start, and I didn't think he was good fit for Libby. Finn tends to use situation for his advantage, and Libby is a decent person. She can't change him. However, I loved Libby and Wade. They made sense. Plus, he was so understand once they started to be friends. 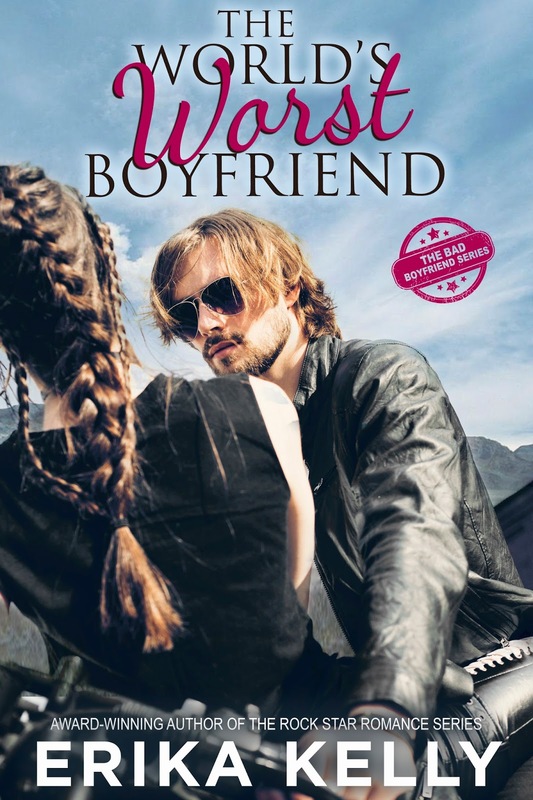 She tries to figure out who she needs to friend-zone in the story. It wouldn't be Half-Moon Hollow if there wasn't any danger or strange things. Yes, the dangerous part is kind of predictable, but it's still fun. 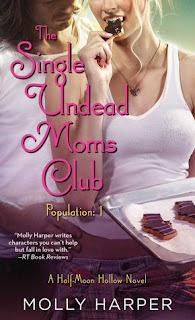 If you are looking for a fun read, you might give The Single Undead Moms Club a try. 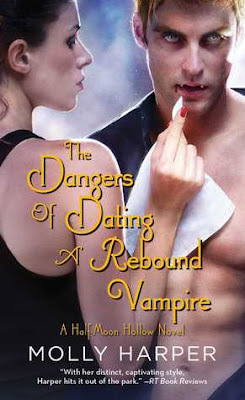 Watch Libby fumble through being a vampire while trying to avoid getting hurt in the process. Since I listened to the story, Amanda Ronconi does a fantastic job. She totally makes listen to these books a blast. YAY, we have finally got to Gigi Scanlon story. When we first meet Gigi she's 17 year old girl, who got in a little trouble consorting with psycho vampire in the first book. Now she's all grown up in The Dangers of Dating a Rebound Vampire, boy is her life an adventure. All right, grown up Gigi has been around vampires for a while, she dated a psychotic one, and you would think she would avoid them after her mishap. That would be a nope, but she's in search of one that is dark and mysterious. Plus, she's decided to do a summer internship at the council office in order find him. Nikolai Dragomirov is basically fascinated by Gigi. She draws something out of him. However, things get a little crazy when he starts attacking her. Now it's up to Nik and Gigi to figure out what the heck is going on, and how they are going to stop it. Again, Molly Harper definitely knows how to write a fun story. This is they type of story that you just read/listen for fun. There's a lot that is going on. We have Gigi working at the council office, falling for a dead guy who is trying to kill her, but he's a good guy. Trust me Nik is a good guy. There's some shady stuff going on at the council office. Okay shadier than normal. Let's go with Ophelia is a little crazier than normal, but all in all a fun read. LOVE NIK AND GIGI! Seriously, they are so perfect for one another. Since, I have been listening to this series on my phone, it was little harder this time. Partly, because when I listened to the story it sounded like Iris to me not the Gigi voice in first book. Then again I thought about it, and it probably would have been a little annoy to listen to Gigi voice from the first book throughout this whole book. Don't get me wrong I love Gigi, but I guess Gigi's voice had to grow up too. I still believe that Amanda Ronconi , and she does a fabulous job on reading these books. If I didn't then I wouldn't keep going back to them. Seriously, I re-listen to them. Anyway, fantastic narrator. Okay, I normally love Callie Hutton, but The Pursuit of Mrs. Pennyworth was an okay read. Towards the end I like the story, because it was what I was expecting to read. However, we have the rest of the story. Basically, The Pursuit of Mrs. Pennyworth is kind of like a mystery story. It does have some twist and turns in the story. We have Charlotte who ran away from her employer's son, and created a new life in London, weird things start to happen. *Spoiler* Honestly, I thought the weird things that were happening we because of the son of the previous employer, but it's not. Actually, this is where the plot twist comes into play. She hires a handsome PI, and tries not feel any attachment to him. So, throughout the story, they are trying to figure out who is out to get her. Later in the story we have previous employer's son trying to get her. 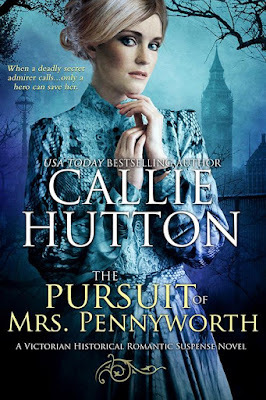 The Pursuit of Mrs. Pennyworth was an all right story. I think I would have enjoyed the story more had it focus more on the previous employer's son trying to get her, I would have been happy. However, we had a huge plot twist that kind of confused me. 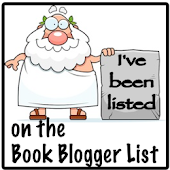 Hey there are others who absolutely loved this story, and you might be one of those people. However, it wasn't a story I love. I did like the ending, because it was what I was expecting in this read. There you have it.